Piece together this fantastic jumbo 24-piece floor puzzle with your child! 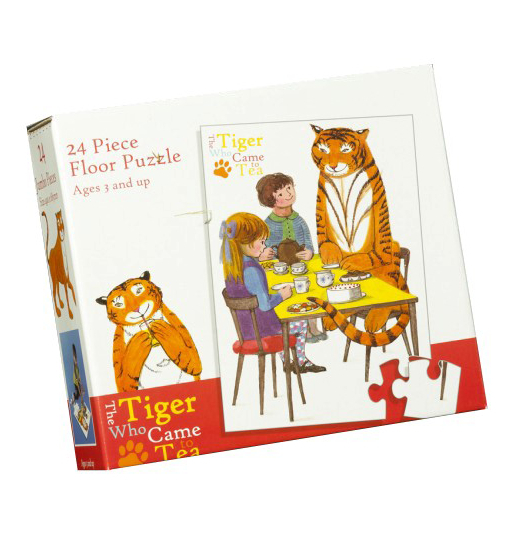 The puzzle image features illustrations from the classic story The Tiger Who Came to Tea. This puzzle has extra-large pieces suitable for smaller fingers, and is made up of hard-wearing cardboard with a high-quality finish. The puzzle is presented in a handy and sturdy carry-box with a plastic handle making it ideal to take away on a trip and ensuring that the puzzle stays in the best possible condition. The finished puzzle measures 490 x 685mm.